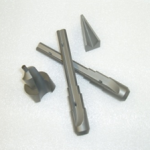 Tungsten Carbide is an ideal material for making special tooling components that will last for a long time in a production environment. 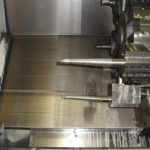 At Dymet Alloys we make a wide range of bespoke tungsten carbide hard metal tooling for a wide range of applications where strength and hardness are key requirements. 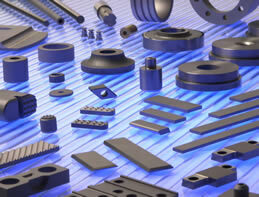 Dymet Alloys also make “specials” and “one-offs” as well as standard tooling. 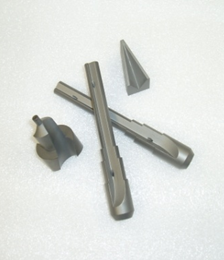 If you need something that is not a standard product, we will probably be able to help with that as well – it is quite likely we have made something similar before, and our experience in working with tungsten carbide hard metals means we will be able to assist you in selecting the most suitable material grade for a given application. 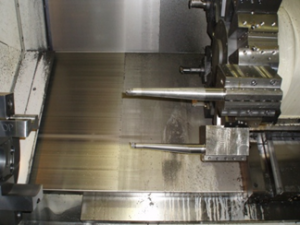 Our customers are the experts in their respected industries and by working together we are able to provide the best solutions to incorporate the use of tungsten carbide hard metals components.